ONE of the yardsticks in the international review of the competitiveness of each nation is the ease of starting and staying in business. The Philippines has been lagging behind on this competitiveness factor in recent years. The key persons in delivering world-class services to the businesses located in their communities are the mayors and their staff at the business permit and licensing offices. We have heard of horror stories in some of these offices which drive away investors, both local and foreign. We all know that we need investments for job generation and poverty reduction. For instance, they asked "Why does it take more than a month to get a business registered in this country while it only takes a day elsewhere?" It is for this reason that much effort has been exerted in the past years by both the private and the public sectors at the National Competitiveness Council (NCC) in trying to improve the granting of business permits and licenses together with the peripheral requirements by certain national agencies such as the Bureau of Internal Revenue (BIR), Bureau of Fire Protection the City Engineers Office on Building Permits, Bureau of Food and Drugs (BFAD) on Food Permits and Health and Sanitation Permits. These efforts were supported by several international development partners such as the International Finance Corporation and the GTZ. Recently, the Ateneo School of Government conducted a research survey on the 17 cities and municipalities in Metro Manila to determine if improvements are being made toward becoming world-class in this department. The Ateneo researchers found out that nine of the Metro Manila cities are way ahead of the other cities at speeding up the time needed to renew a business permit. These nine cities are Muntinlupa, Marikina, Navotas, Caloocan, Mandaluyong, Las Piñas, Parañaque, Makati and Malabon. Their preliminary report, which was presented to NCC Working Group recently, was only 85 percent complete as it covered interviews with small and medium-sized enterprises who do business in the concerned cities or towns. A total of 398 enterprises representing mostly single proprietorship firms were interviewed by the survey researchers. The respondents representing the bigger corporations are expected to submit their replies through the local and foreign chambers wherein they are members in the next few days. The big firms are generally more demanding and vocal against the lengthy processes at the business permits and licenses offices of the LGUs. Addressing the result, they were surprised that the more modern and bigger cities in Metro Manila are being left behind in terms of quality of service to their business clients. 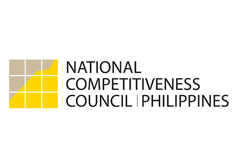 The NCC included the private business chambers such as Makati Business Club, Management Association of the Philippines, Philippine Chamber of Commerce and Industry, Federation of Filipino Chinese Chamber of Commerce and Industry, Canadian Chamber of Commerce, European Chamber of Commerce, Korean Chamber of Commerce, American Chamber of Commerce, and Japan Chamber of Commerce. It was pointed out that the improvements reportedly started in 2010 may not have been picked up yet, since this is a perception study by businessmen which may cover up to last year's experiences with their LGUs. Manila, for instance, has just started an improved process to renew permits and licenses which will only require a handful of steps. It remains to be seen, however, if this will result in improved client satisfaction and eventually tilt the competitiveness standing to the Philippines' favor. In the case of new business permits, the Ateneo researchers are still completing data gathering for applicants to comply with the sampling size. However, the trend in all cities and towns in Metro Manila are equally poor since processing time was reported between one and two months. Indeed, much work remains to be done by the mayors and their colleagues after the election dust have settled down. We hope that politicizing will stop and process improvements in this critical department will finally start yielding the outputs to the satisfaction of their business clients. The researchers observed that the local governments claimed that they could not be entirely blamed for the long delays in issuing new business permits because the bottlenecks were due to national government agencies like the BIR for official receipts, the Bureau of Fire Protection for safely clearances, LGU building permits, and BFAD for food enterprises. These results were disappointing since these problems were already identified three years ago and formed part of the Top 10 Problems of business transactions as discussed at the NCC. After several meetings with heads of the above agencies, promises of improvements were laid out but unfortunately, these have not been felt by the respondents of the survey. There are some mayors who feel that there is an urgent need in improving attitudes among the LGUs and national agencies' staff members in the frontline windows in addition to skills upgrading. A genuine desire by the staff members to be of help to their clients can accelerate the improvement of efficiencies. Those LGUs that have undergone culture change and organization improvement programs, such as in performance governance system, seem to be delivering better service to their constituents. The business leaders, upon being briefed about the results by the Ateneo School of Government, argued that the permit should be ready after a few days, not after a week! They were also complaining that the calendar for issuance of clearances/permits should be realigned to avoid the concentration of activities only in the month of January. However, they are reassured that the mayors in the metropolis are taking their complaints seriously and will aim for a target of three days for delivery of business permits and licenses starting next year. With the emergence of the new mayors and leaders in local governments in the metropolis, a more dynamic climate is expected. Then and only then can we expect a nationwide process revolution by the rest of the LGUs replicating the achievements of their Metro Manila colleagues focusing on delivering world-class service to their constituents. Then we can hope to halve our poverty level per the Millennium Development Goals (MDG).